By Audrey Golden. Aug 1, 2015. 9:00 AM. Richard Wright is a giant name in American literature. His novel Native Son (1940) became a bestseller nearly as soon as it was published by Harper & Brothers, just before the United States entered into World War II. With the release of Native Son, Wright also became the wealthiest African American writer in the country. Yet there’s a lot you may not know about Richard Wright and the influence his life and work have had on thinkers of the Civil Rights movement, anti-colonial figures, and fiction writers from across the globe. 1.) Richard Wright was born near Roxie and Natchez, Mississippi in 1908, where he had a tumultuous upbringing that he later described in his autobiography, Black Boy (1945). While many associate Wright with Chicago and New York, he didn’t arrive in a northern city until late in 1927. He lived in Chicago for ten years and then moved to New York City in 1937. He’d only remain in the U.S. for less than a decade more, making the decision to relocate to Europe in response to the extreme racism he experienced in America. 2.) After a brief trip to France in 1946, Wright made the decision to move to Paris with his wife and two daughters. He never returned to the U.S. again. 4.) Wright joined the Communist party in the early 1930s soon after moving to Chicago. However, he left the party in 1942 and explained his reasons in an essay for the Atlantic Monthly entitled, “I Tried to Be a Communist” (1944). Readers can see some of Wright’s critiques of communism and its relation to racial justice in Native Son through the character of Boris A. Max. 5.) Black Boy (1945) wasn’t initially entitled as such, and it wasn’t published in its complete form in the mid 1940s. By the time Wright drafted his autobiography, he had attained much popularity with an American readership. The Book of the Month Club—which had agreed to publish the book—thought the audience would only be interested in Part One, which detailed Wright’s early life in Mississippi but excluded his life in Chicago and New York. 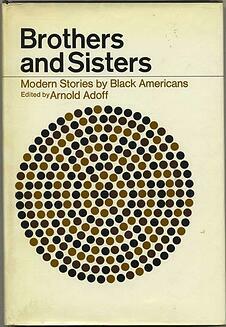 As a result, Wright cut out the second part of the book, and he changed the title from American Hunger to Black Boy. 6.) 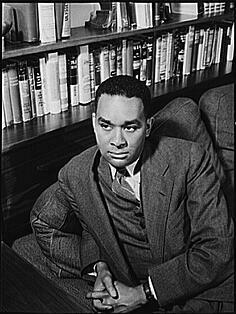 Richard Wright’s works are among the most translated of all African American fiction. He has readership throughout the world, including in French, Spanish, German, Russian, Hindi, Cantonese, Mandarin, and Japanese, just to name a few. 7.) The Richard Wright Papers currently are held at the Beinecke Rare Book and Manuscript Library at Yale University. 8.) While Wright was living in Paris, his novel Native Son was adapted for the screen by Pierre Chenal. The film was Argentinian, and it didn’t fare especially well in the United States. Yet those facts aren’t among the most surprising pieces of information we have about the film. Most striking is that, as a 40-year-old man, Wright himself decided to play the role of the young Bigger Thomas. It’s hard to find a copy of this film today, but if you can get your hands on one, you’ll be very surprised to view Wright in the role of the most famous literary character he created. 9.) Native Son has had more than one film adaptation, along with other forms of media renditions. For instance, Orson Welles created a version for the stage, while James Earl Jones read portions of the novel for a Caedmon spoken-word record in 1973. 10.) Wright’s work influenced (and in some cases frustrated) a number of significant Civil Rights and anti-colonial thinkers, including James Baldwin, Frantz Fanon, Aimé Césaire, and Kwame Anthony Appiah.